At H. Moser & Cie., they had a dream, of an era where time is infinite. It passes quietly, in perfect peace. It is within everyone's reach. 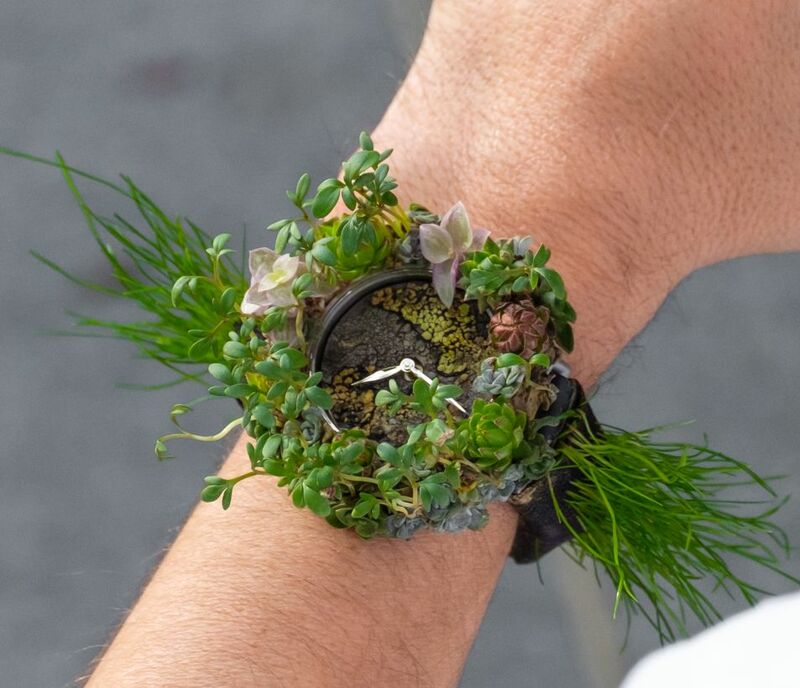 They have realised this in the form of a promise, a warning to future generations: the Moser Nature Watch, a mechanical watch that is 'green' and living... but not eternal. 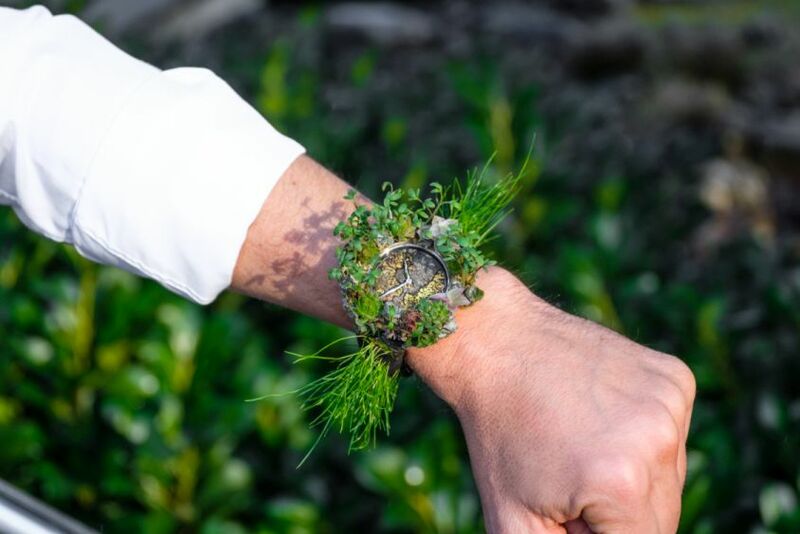 The Moser Nature Watch is a symbol of their commitment to eco-friendly, sustainable development in their work within the field of watchmaking and beyond. The Moser Nature Watch is much more than a 'green' mechanical watch: it is a symbol. 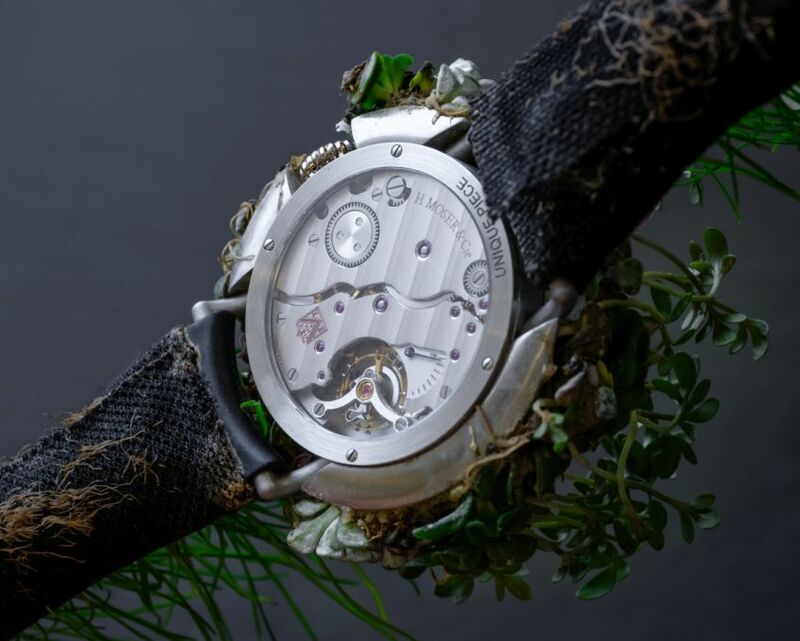 This watch is 100% Swiss Made; it was created using plants native to Switzerland, grown in the gardens of their Schaffhausen-based Manufacture. Their entire team watchmakers and non-watchmakers had a hand in cultivating it. The Moser Nature Watch is a unique piece, on show at SIHH in Geneva from January 14th-17th, 2019. Reference 8327-1200, the first 'green' watch, 100% Swiss Grown and Made. 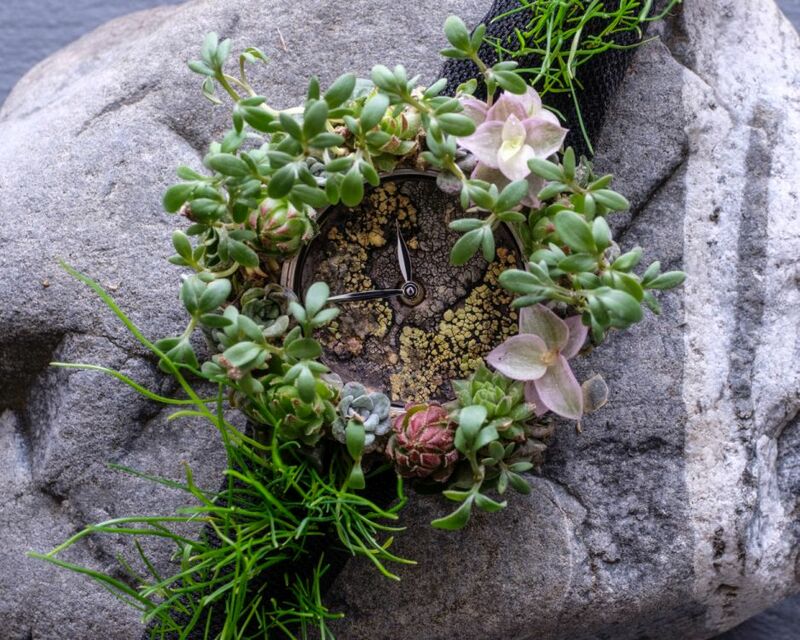 A unique piece in steel adorned with succulents, moss, mini Echeveria, cress, spiderwort and onion sets, with a dial in natural mineral stone and lichen from the Swiss Alps, and a strap made from grass. Water twice a day. Diameter: 42.0 mm, height: 9.4 mm with a sapphire crystal and a sapphire crystal caseback. 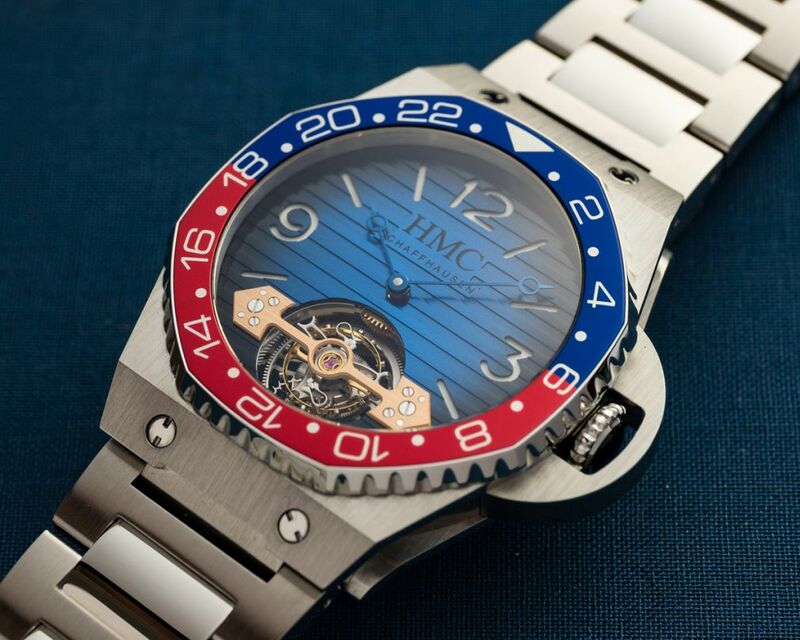 Movement - uses only renewable energy, is the Swiss manual-wind Moser in-house caliber HMC 327 with 29 jewels, 18,000 vph and a power reserve of 3 days. If features Moser teeth for all wheels and pinions. Original Straumann hairspring. Functions - mechanical and ecological, displays the hours and minutes, purifies oxygen, recycles CO2, contributes to reducing their carbon footprint. 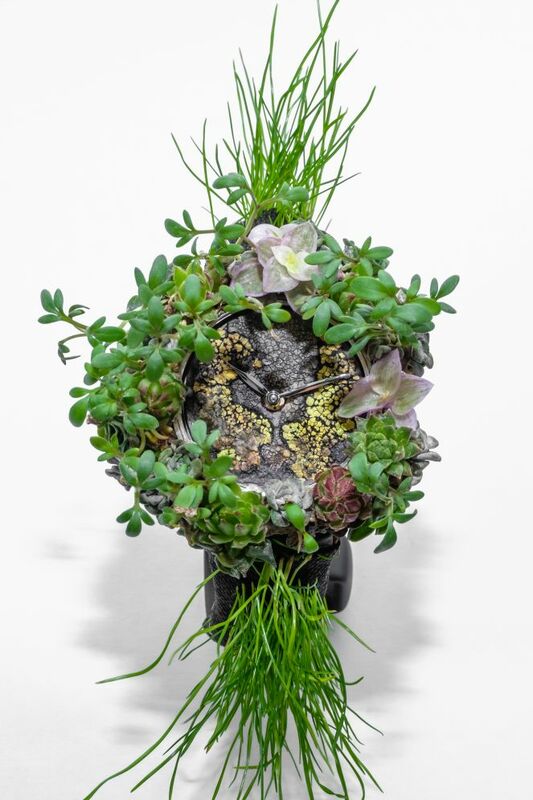 Dial - mineral and plant life. Natural mineral stone and lichen from the Swiss Alps. The strap, made of grass, must be maintained regularly using a mini clipper. Steel buckle, engraved with the Moser logo. Just because you can, does not mean you should. This has to be a joke. It's certainly original. The cheese watch was funny but this is insane. Moser has gone off the deep end. For next year, how about a functional watch made out of chocolate? 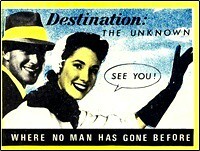 ...backward (or forward) to April 1st ! If it's real all I can say is that there are many other ways to make a statement that make more sense . Maybe I'm missing something here. Somebody is dropping some dangerous pharmaceuticals at Moser. There is no way a company that makes high end beautiful pieces would embarrass themselves this bad. Then again, Rolex makes the atrocious leopard daytona. "Bad decisions make the best damn stories"
I am not sure what should I say? I do not get it. Thanks anyway. Below is a link to the original post. The text clearly says..."The Moser Nature Watch is a symbol of their commitment to eco-friendly, sustainable development in their work." ...parade of expected knee jerk reactions from those that don't understand the *intent* of this announcement! Sheesh! "It is so choice...if you have the means, I highly recommend picking one up." Loosen up a little and have a chuckle. And again they've succeeded. They shouldn't try so hard to get noticed. This and the cheese watch from Moser, where is their mind at? I love Moser but lately they have been losing their path and their mind. ...someone at Moser has a great sense of humor, and I love that the company keeps letting them come up with crazy funny ideas. Kudos! "When asked why people give to beggars and not to philosophers, Diogenes said, 'Because they think it possible that they themselves may become lame and blind, but they do not expect ever to turn out wise.'" waiting to see Jorge say "just kidding folks"
ya don't have to go home sir....you just can't stay here.